Making a presidential decision that is the right decision always includes a fair amount of input from others, evaluating priorities and considering ethics — the moral impact of the decision. A good leader skillfully blends all available input information with his/her own guiding set of principles and values. Mr. Trump must take into account the country’s principles and values as well. If he tries to please all the people all the time, he will wind up pleasing no one. Presidents must stand by their decisions in the face of what surely will be opposition. 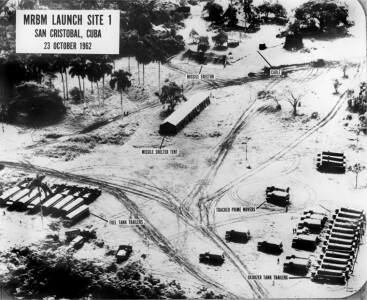 Consider the contrasts between the 1961 Bay of Pigs invasion and the 1962 Cuban Missile Crisis — two events that showed a maturation and learning behind President Kennedy’s decisionmaking apparatus. 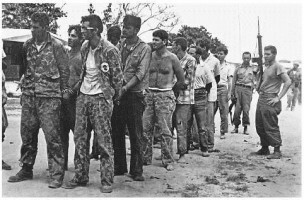 In this event, presidential advisors suffered from a great deal of groupthink, which resulted in the ill-fated decision to launch a covert invasion of Cuba with the goal of overthrowing Fidel Castro. Castro found out about the “covert” invasion through press leaks. Approximately 1,400 “invaders” were vastly outnumbered, lacked air support and other basic items. Most surrendered and the rest died. “How could I have been so stupid?” President John F. Kennedy asked after the Bay of Pigs fiasco. He called it a “colossal mistake.” It left him feeling depressed, guilty, bitter and in tears. One historian later called the Bay of Pigs, “…one of those rare events in history — a perfect failure.” Our degraded leadership and credibility led Khrushchev to conclude that he could arm Cuba with long range nuclear missiles that could threaten the United States. With respect to the 1962 Cuban Missile Crisis, the same group of advisors that were so afraid of rocking the boat during the Bay of Pigs event, proved to be successful in supporting an effective Presidential decisionmaking process. Kennedy was highly inclusive and expansive in soliciting advice and actively encouraged dissenting opinions. He used experts on Soviet culture and policy. He made a decision 13 days after the beginning of the crisis — resisting a surgical airstrike that could have had significant collateral damage, loss of life and subsequent retaliation. The president was able to craft a decision that ensured U.S. goals were achieved while not provoking any retaliation by Soviet leader Khrushchev. He decided on a limited quarantine — only for nuclear weapons. He and his brother Robert F. Kennedy negotiated a deal which secretly removed our Jupiter missiles from Turkey. The Jupiter missile was a medium range ballistic missile (MRBM), capable of striking the Soviet Union from Turkey. President Kennedy also pledged that the U.S. would not invade Cuba. These actions eliminated the crisis and caused the Soviet Union to remove the missiles from Cuba shortly after the agreement was achieved. Decisions to wage war against other nations are markedly different than levying an assertive strike against a rogue regime — and then backing away. The 1973 War Powers Resolution (Act) constrains the President to 1) Notifying Congress within 48 hours of committing armed forces to military action and, 2) capping the military troop engagement time to 60 days with an additional 30 days of withdrawal time. When I served in the military, I had occasion to read and study a document which would later be called the “Weinberger Doctrine.” Casper “Cap” Weinberger was Secretary of Defense in the Reagan era (1981-89). He wrote a series of conditions which he felt needed to be met before the president and the congress could commit troops to battle or peacekeeping arrangements. U.S. troops should not be committed to battle without a “reasonable assurance” of the support of U.S. public opinion and Congress. The secret is: recognize and eliminate groupthink from presidential administrations. Great presidents instill an open culture that encourages healthy dissent and open, frank communication. It generally takes time and perseverance for this to happen — not an overnight thing. Also — it’s probably a good time for all of us to re-read and re-appreciate the Weinberger Doctrine. A great template for both the U.S. Congress and the U.S. President, it will at least provide a solid basis for concurrence or non-concurrence for military actions abroad. Concise, informative, easy reading for the “layman.” Thank you, Bob Brescia, for the article. Good article; I remember Weinbergers’ rules of engagement. As a former Army officer and Libertarian, wholeheartedly agree. Peace first. But if you’re gonna carry a big stick, you only use it when you are prepared to win at all costs, not just bully pulpit. The War Powers Act has been abused by the last three presidents using an ambiguous explanation of protecting “National Interests” – not for national defense.